1543 – Mary Stuart, at nine months old, is crowned “Queen of Scots” in the central Scottish town of Stirling. 1791 – Washington, D.C., the capital of the United States, is named after President George Washington. 1828 – Leo Tolstoy, Russian writer was born in Yasnaya Polyana, Yasnaya Polyana, Russia. 1839 – John Herschel takes the first glass plate photograph. 1850 – California is admitted as the thirty-first U.S. state. 1890 – Colonel Sanders, American businessman who founded Kentucky Fried Chicken was born in Henryville, IN. 1940 – George Stibitz, a Bell Labs researcher, pioneers the first remote operation of a computer. 1960 – Hugh Grant, English actor was born in Charing Cross Hospital, London, United Kingdom. 1965 – Hurricane Betsy hits landl near New Orleans, leaving 76 dead and $1.42 billion in damage. 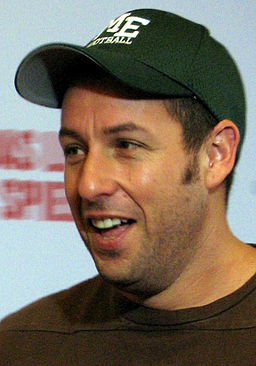 1966 – Adam Sandler, comedian, actor, producer of movies such as The Wedding Singer and Happy Gilmore was born in Brooklyn, New York City, NY. 1972 – In Kentucky’s Mammoth Cave National Park, a Cave Research Foundation exploration and mapping team discovers a link between the Mammoth and Flint Ridge cave systems, making it the longest known cave passageway in the world. 1975 – Michael Bublé, Canadian-Italian singer was born in Burnaby, Canada. 1980 – Michelle Williams, American actress was born in Kalispell, MT. 1985 – Luka Modrić, Croatian soccer player was born in Zadar, Croatia. 2015 – Queen Elizabeth II becones the longest reigning monarch of the United Kingdom. 2016 – The government of North Korea conducts its fifth and reportedly biggest nuclear test. Thank you to the sources of info and graphics for this page: Wiki, Checkiday and Pixabay.